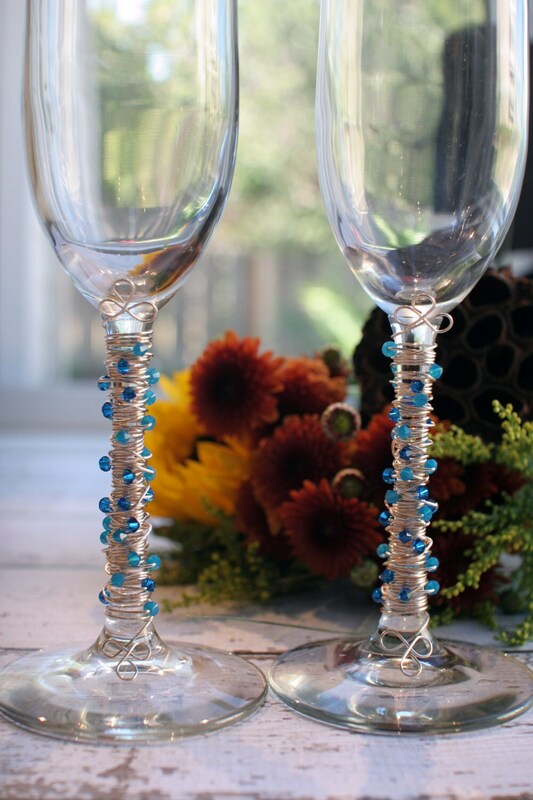 Inspired by Couture Style and Chic Designs, these elegantly beaded champagne flutes are one of a kind. They are adorned with Swarovski crystals in Cornflower blue & Horizon beads intricately wired with non-tarnishing gold wire. This item is Made to Order. I use a non-tarnishing gold wire and black glass beads wrapped securely around the stem of our beautiful 9" champagne flutes. I can custom design these to coordinate with your upcoming special event colors, please convo me & we'll get the conversation started!